Perfect for hire when organising exhibitions, conferences or displays, the range of tall showcases for hire from award-winning company Event Hire is unrivalled in the hire industry. 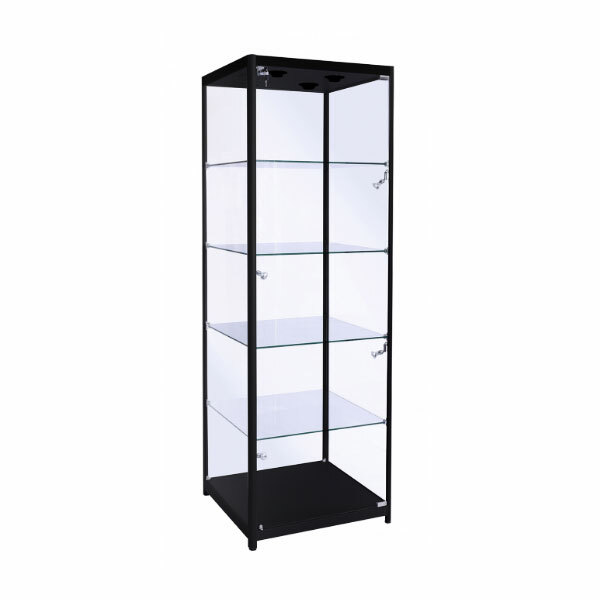 Our display cabinets for hire come to you in excellent condition, ready for use at your event. 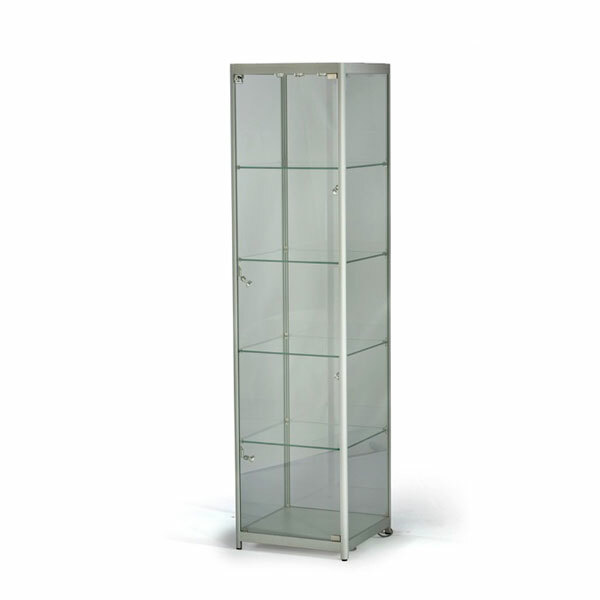 Choose from tallboy showcases for hire and you can also hire tallboy showcases with cabinets in this section, providing you with the complete range of exhibition glass display cabinets for your upcoming exhibition or trade show. Display cabinets hire is a speciality of Event Hire UK, offering you the very best options when it comes to glass showcases to suit your requirements and your event. 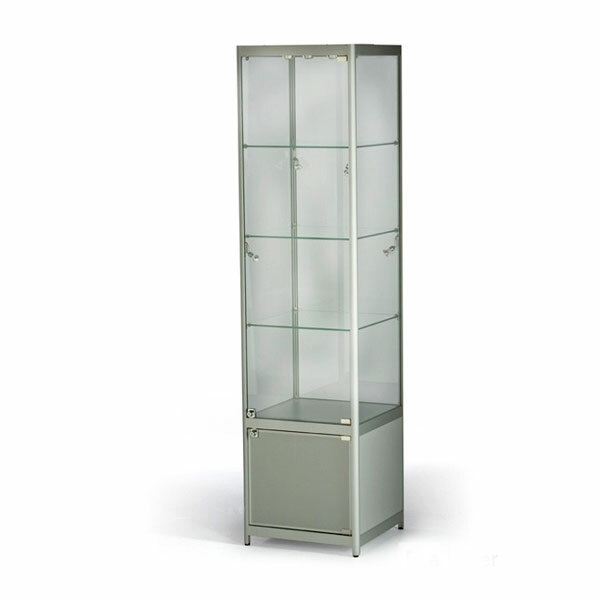 Jewellery glass display cabinet hire is available in the quantities you need and in the colour you need. These tallboys are the perfect piece of exhibition furniture hire for jewellery shows as you can showcase your jewellery products at eye level and close up to your visitors whilst still maintaining a degree of security. Our showcases are lockable at the back and come with internal LED lights to really make your products stand out from the crowd. As you would expect from a nationwide company, you can be confident in a first-class service from Event Hire UK from the very first moment you make contact with us right through to delivery and collection of your hire showcase cabinets. Put your faith in us and let us show you how an efficient and effective company should work, allowing you to concentrate on other things.